Orb Audio’s Mod1X speakers offer gorgeous detail, a vivid stereo image, and a totally unique aesthetic, but their anemic bass response demands a subwoofer add-on. In the home theater landscape, few companies are more aptly named than Orb Audio. 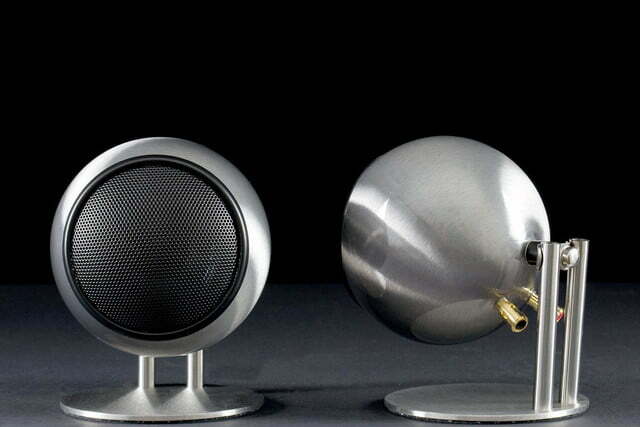 The company’s distinctive spherical speakers strike a unique aesthetic that draws the eye of both admirers and detractors alike. But whether you love or hate their wild design, the bigger story behind Orb’s little pods isn’t their physical aesthetic, but their promised provision of audiophile-grade sound that won’t break your budget. 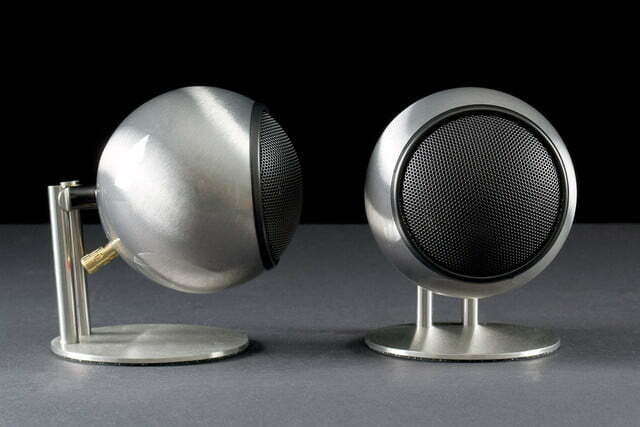 Orb’s “orbs” come in a variety of configurations, including singular sets designed desktops and small home theater systems, as well as double-stacked versions intended for slightly larger home theater applications. We recently took a close look at a pair of the company’s root design, the Mod1X satellite speakers, to find out if they could match their intriguing style with high-grade performance. Upon opening a rather pedestrian cardboard package, we found the little globes in small foam cubbies, gleaming in their industrial metal shells, buffed to a high-gloss finish. While the most basic Mod1Xs come in black and white metal casings for a price of $250 a pair, we received the premium polished steel version, which will siphon another $60 per pair from your bank account. 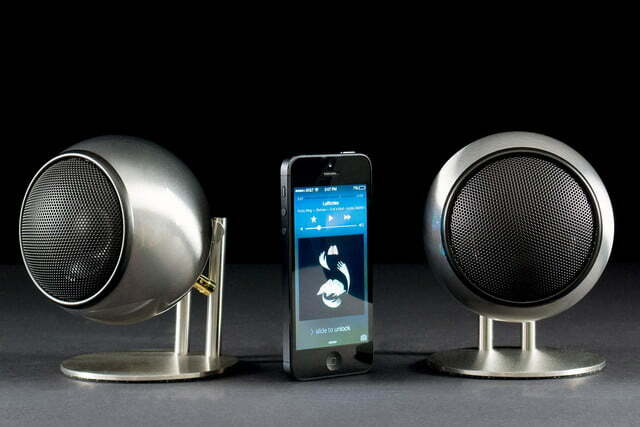 Gorgeous metallic enclosures give way to hard plastic screens at the speaker’s front that protect a single-driver. Steel rods secure the speakers to a circular base stand that looks something like a launch pad, ready to send the little Sputniks into orbit. At the back of the speakers we discovered spring-loaded speaker wire terminals plated in gold. 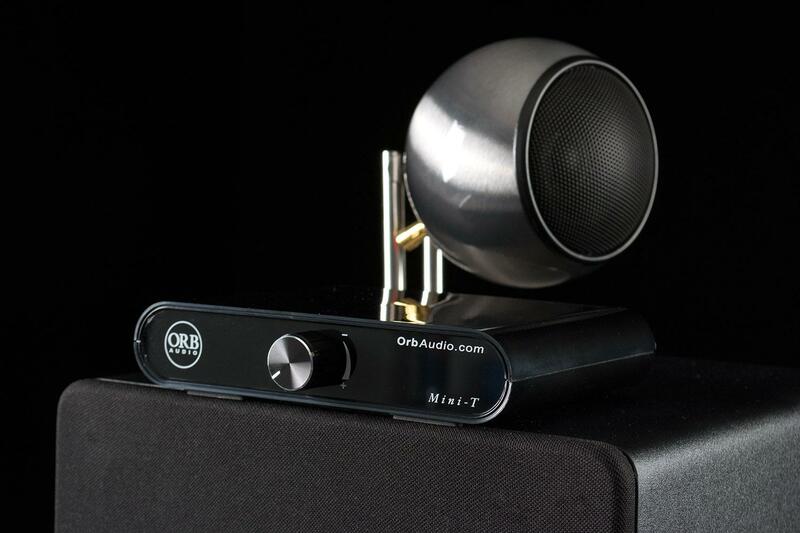 We received a fully-loaded setup from Orb, which included several runs of medium-gauge speaker wire, Orb’s Mini-T 2.1 amplifier, and input cables including a 3.5mm stereo cable, and an RCA to 3.5mm cable. You can order the incredibly cost-effective Mini-T and Mod1X bundle for a mere $300, but cables and wire will cost you a bit extra. As we mentioned, Orb’s distinctive style definitely evokes a polarized opinion – these aren’t the kind of speakers that sit unnoticed on the shelf. In our brief few days of evaluation at the office we heard several strong reactions from colleagues on both sides of the coin, with descriptions varying from gorgeous to garrish. Whatever your thoughts, purchasing the Mod1X is definitely as much a stylistic choice as it is an auditory one. The little globes erupted from their plain cardboard package in industrialized metal shells buffed to a high-gloss finish. Apart from the gleaming polished steel version we received, the speakers come in finishes of antiqued copper and bronze, ‘hammered earth’, and the standard black and white metal frames mentioned above. 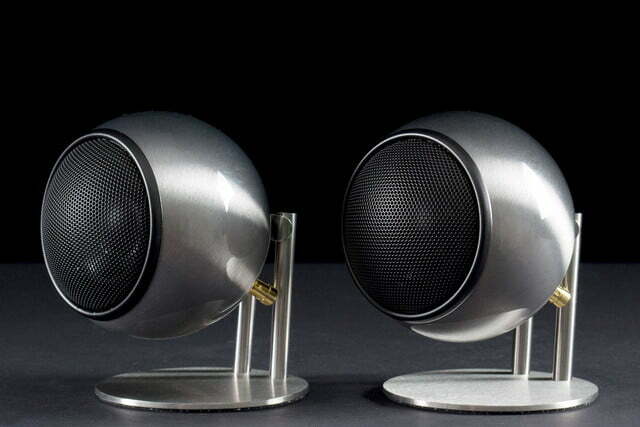 Orb stresses on its website that all of its speakers are handmade at its manufacturing facility in California. There are also several stand configurations available, including the HOSS (Hunk of Solid Steel) floor stand, which props the speakers up from the floor with a modern/industrial aesthetic. 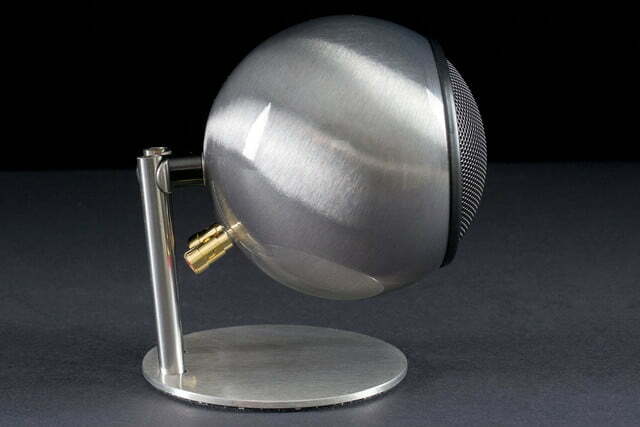 The speakers themselves are fairly small, measuring just over 4-inches in diameter. Under the plastic speaker screens, the Mod1X boast 3-inch dynamic drivers. The latest Mod1X version are completely re-designed from the original, replacing the original propylene cone with aluminum/magnesium cones, which Orb says gives the latest version an increased frequency range, claimed at 80 Hz to 20kHz. The driver’s surround is made of Santoprene, a thermoplastic rubber designed to deliver high durability. We setup the Mod1X speakers in no time, popping the included speaker wire into the spring clips at the back, and connecting the other end into Orb’s Mini-T amplifier. 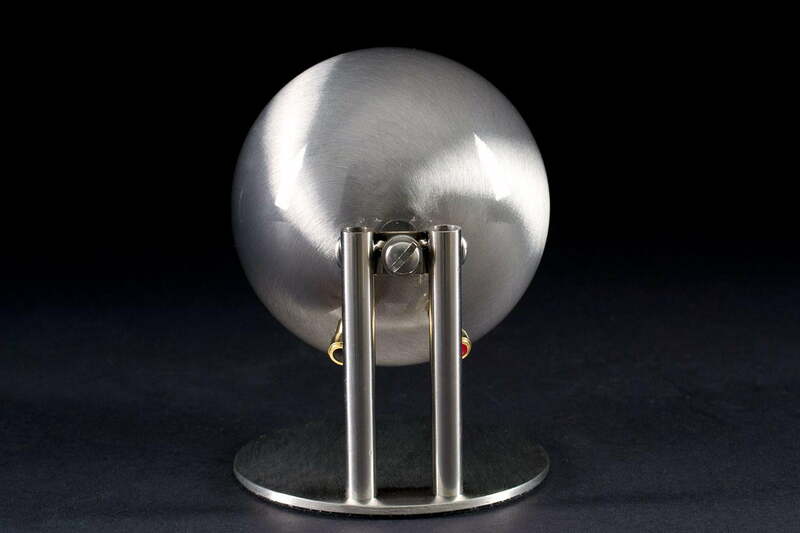 Note to fans of high-gauge speaker wire: The Orb’s won’t have it. The terminals can accommodate 16 AWG wire relatively easily, but anything larger than that is out. For much of our evaluation, we also connected Orb’s subMini 8-inch subwoofer ($300) to the Mini-T’s subwoofer output. In addition, we tested the speakers using Grace Digital’s 24-watt Bluetooth Stereo Digital amplifier. For a sound source, we connected our iPhone 5, and a Macbook Pro via a 3.5mm cable into the stereo input of both amplifiers. Far and away, our best experience with the Mod1X was accomplished by matching the little speakers with the subMini subwoofer. Combining Orb’s affordable little sub with the satellites through the company’s surprisingly-efficient Mini-T amplifier made for a detailed and fairly potent little system. Once we got the subMini’s volume and frequency response dialed in, it did a great job filling in the rather large empty space left open by the small satellites. 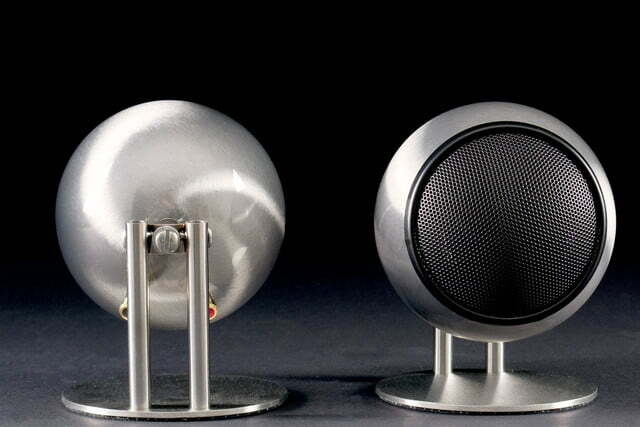 Rarely have we heard a small speaker emit such a precise and vivid stereo image. Without the help of the subwoofer, however, that wide open space where there’s supposed to be bass was especially notable, accentuating the speakers’ tendency for bright and snappy treble that occasionally bordered on uncomfortable. 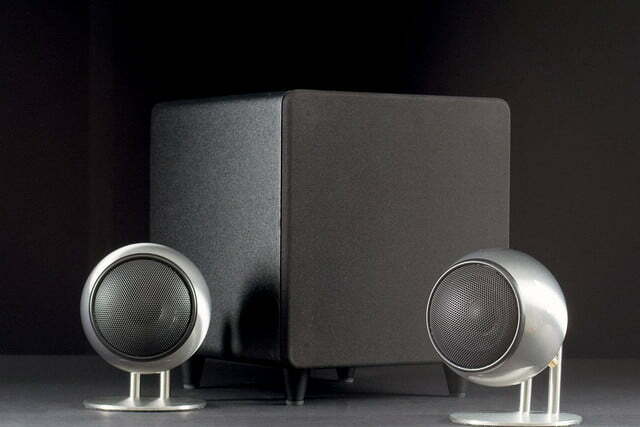 The speakers’ response takes a nose dive around 300 Hz, and that is likely a purposeful (and wise) move on Orb’s part, due to the shape of the speakers. The round, fully-enclosed cabinets would probably make some unpleasant noises if Orb were to allow much low-end rumble to ring through unchecked. Still, it leaves a lot of work for the subwoofer, and without one, the sound feels a little incomplete. That said, the Mod1X’s design weakness is also one of its best assets. 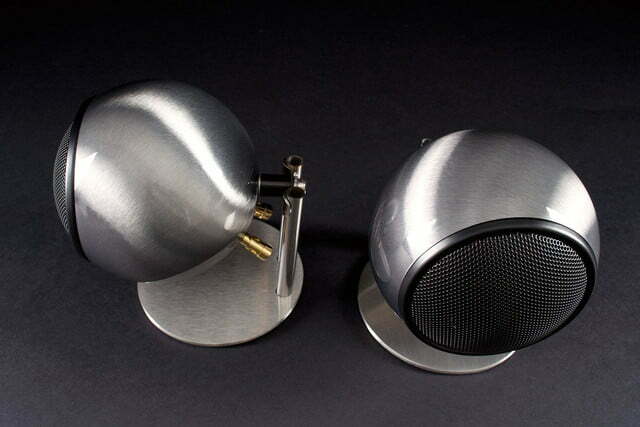 The spherical shape and single driver setup allows the pair to do some incredible things with stereo imaging, thanks to the fact that there are no crossover points, and little surface from which sound waves can be reflected. 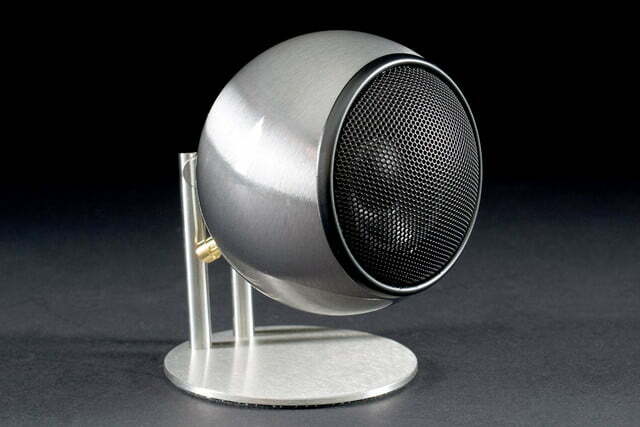 Rarely have we heard a small speaker emit such a precise and vivid stereo image. Vocals were locked brilliantly in the middle, revealing excellent detail, and tricking our brains into hearing what sounded like a separate center channel. Instruments panned to the sides were spread out with excellent definition, and tracks with plenty of stereo movement from artists like NIN, Vampire Weekend, and Depeche Mode allowed for nimble tracing of synth effects from side to side. The treble and upper midrange was also pristinely drawn, showcasing a clear sheen to upper vocals, acoustic guitar, and especially, piano. Stick work in percussion was also impressively present and detailed, if not a tad click-y on occasion. When we called up “Come Pick Me Up” by Ryan Adams, hi-hats and rimshots evoked that sought after “almost-live presence,” and crash cymbals expanded in smooth clouds of sustain, washing into the background like a mist of ocean spray. Still, whenever we removed the subwoofer from the equation, we were disappointed with the lack of foundation in the sound, giving up the fuller resonance for a tinny reflection that recalled the perils of bundled desktop speakers. Orb Audio’s Mod1X speakers offer gorgeous detail, a vivid stereo image, and a totally unique aesthetic, but their anemic bass response begs for a subwoofer add-on. On the bright side, Orb has one in mind for you, and combining its subMini with its fantastically efficient Mini-T amplifier makes for a simple and potent little 2.1 sound system. On the other hand, today’s wide array of wireless audio options includes plenty of more affordable solutions that compete pretty well with the 2.1 system above, not the least of which are the Aperion Audio Allaire Bluetooth speakers, which beat Orb’s combined price by $200. Still, if you want a more traditional setup, Orb’s configuration provides style and auditory substance for a sound system that should impress eyes and ears alike.